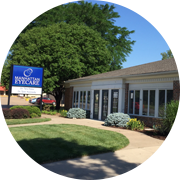 Manhattan Eyecare has been serving the greater-Manhattan area's eye care needs for over 60 years. Our goal is to provide you and your family with quality vision care by focusing on preventative care for patients of all ages. 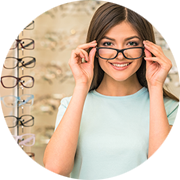 We seek to provide excellent customer service with affordable prices for all your vision needs. From glasses and contacts to diagnosis and treatment of eye disease, our practice covers the full spectrum of vision care. Is it time for your next eye exam? Sign up to be reminded when it is time to replace your contacts. Fill out the form to order your contact lenses. 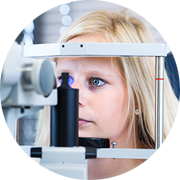 Whether it's time for a routine exam, glaucoma screening, contact lenses, or more, Manhattan Eyecare can help. 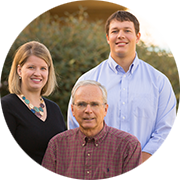 Dr. Hake, Dr. Kennedy and Dr. Oberhelman are expertly trained optometrists and aim to provide the highest level of vision care available. Our optical specialists take the time to get to know your personality, lifestyle and wardrobe so your new glasses are a perfect fit for your life. In the heart of the Little Apple.